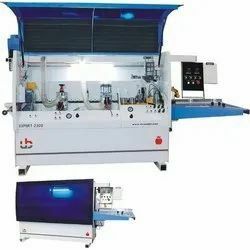 We are a leading Manufacturer of expert-2600 automatic edge banding machine, expert-3600 automatic edge banding machine, 4600 automatic edge banding machine wooden strip, expert-2300 automatic edge banding machine and expert-3800 automatic edge banding machine from Ahmedabad, India. Total Air Usage 160 lt/min. 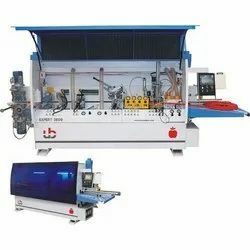 Expert-2600 Automatic Edge Banding Machine Stands for minimum investment to get maximum output. The Expert 2600 series is your guarantee for absolute quality, flexibility and productivity. The smart element of the machine is exclusive price with attractive results. 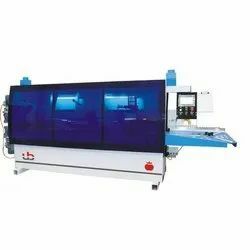 Expert 2600 Edge banding machine has erogomic structure and fastest , shortest and easy to be used system and designed for PVC, Foil, Lining melamine and ABS application thickness of which is from0.4 mm up to 3 mm for workshops, factories and outsources with its highest quality. Expert 3600 is newest and patented technology in automatic edge banding machine sector. This is range of edge banders featuring high resourcefulness in large ground of application. Pioneering technological solutions, heavy duty production are combine to ensure a high quality finish and great consistency under under a broad range of working conditions. the multi function package provides a perfect appearance for all your normal edge banding processes. Total Air Usage 180 Lt/min. 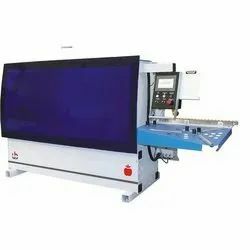 4600 Automatic Edge Banding Machine Wooden Strip is entirely new and patented technology in automatic edge banding with wooden stripping unit up to 10 mm.Expert 4600 is a range of automatic, edge banding machines designed to create a new standard in automatic edge banding. An innovative, modern, design is combined with productivity & efficiency for the wood working industries. The multi functional package provides a perfect appearance for all your normal edge banding processes. Thanking to these features, represent the ultimate choice for the cyustomer who is not satisfied of a good edge banding, but aims for the perfect finish and also take advantage in auto plant for the Modular furniture. Expert 4600 (wood) is udes for door industries as well as modular furniture industries. Due to its combined design for wooden strips and PVC. Also avaliable with PUR technology. The multi-functional Package provides a perfect soluation for all your edge banding process. Expert 2300 is a entry level auto edge bander. it has end cutting unit with high frequency motor to excess the edge. 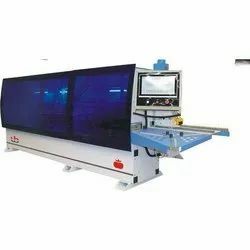 this machine is suitable for flat cutting operation. expert 2300 edge banding machine has ergonomic structure and the smart element of the machine is its compact design.